Sometimes you need a fishing hook in the middle of Denali. Sometimes you need a bottle opener in the middle of a Monday morning meeting. The Cache Belt can help you out with both lifesavers in both spots. 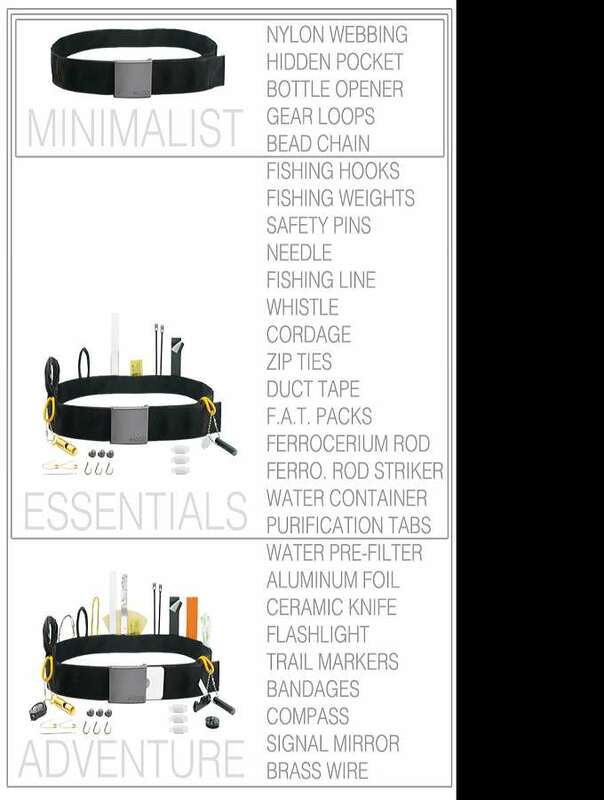 Plus a needle, whistle, duct tape, foil, flashlight, bandages, and a ferro rod for good measure. And since the Cache Belt is as covert as it is functional, no one will be able to spot that you've got as many toys as Batman stashed around your waist. 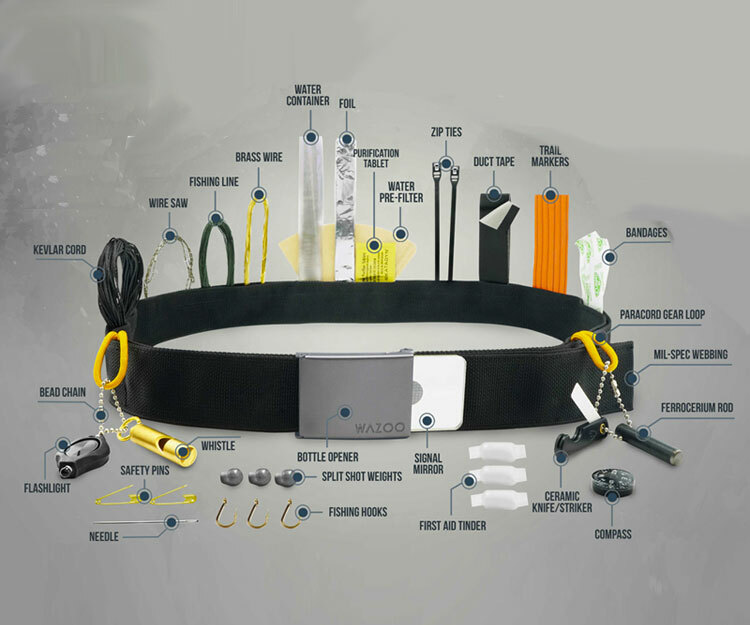 Wazoo Survival Gear has developed 3 levels of Cache Belt, which their funding here on Kickstarter through November 4, 2016. The Minimalist Cache is a 1-1/2"-wide band of nylon webbing with a 28" channel running along its top edge. The hidden pocket is large enough to hold money and small implements up to 1-1/4" wide. Its Duragrip closure ensures items won't fall out or move around inside the belt, but you'll still have instant, constant access to them without removing it. The Minimalist also comes with a built-in bottle opener in the buckle, plus gear loops and a bead chain. Wazoo amps it up from there with Adventure and Essentials Cache Belts, both stuffed with a ton of tools and effects you're more likely to need during travels and outdoor pursuits. Check out a complete list in the image gallery above. The belts are adjustable in size from 28" to 55".